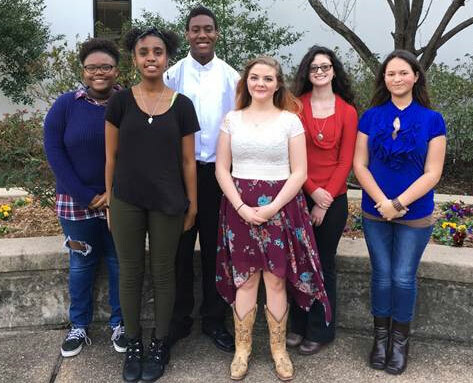 Texarkana, TX – Six Texas High School Choir students earned medals for their performances during the Region IV University Interscholastic League Vocal Solo & Ensemble Competition on February 17 in Mt. Pleasant, TX. Two will now move forward to the state level competition. Kaleigh Cook and Samantha King were awarded First Division Gold Medal Soloists in Singing Class I. They will now advance to the Texas State Solo & Ensemble Contest which will be held in Austin in May. Traviona Collins and Timetra Hopkins earned a Gold Medal Superior Rating for Class III Solo. Dakota King earned a Silver Medal Excellent Rating for her performance and Joshua Hill earned a Bronze Medal Good Rating for his performance.